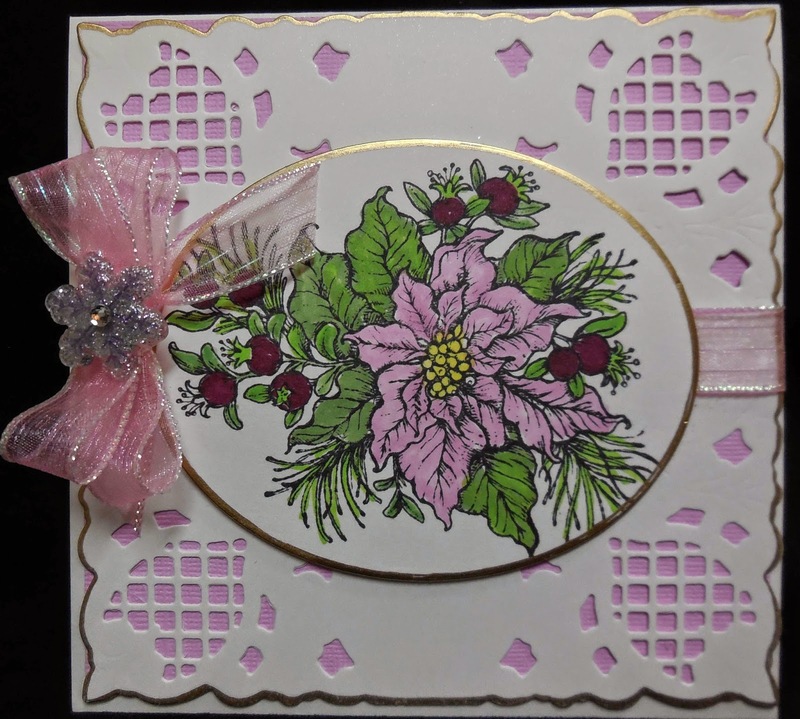 This beautiful poinsettia card is for the world card day at Power Poppy. I used the newest stamp set Poinsettia. I stamped it in memento black ink and colored it with copics. The corner die cuts are Marianne. I'm not sure whose oval this is, it's a white metal die cut. I used a gold pen around the background and the oval and then added some soft pink ribbon and sparkly snowflake to finish the card. A gorgeous card Karen! Love the die and stamp along with your coloring. How did you get this so fast?!!! What a beautiful card! I just love the orchid color you used. So pretty peeking through the die cut. Love! Absolutely gorgeous creation! Don't you just love that poinsettia stamp! Have a Blessed day!